I would be far away for sure! LOL! That time of year. My concern is the Cottonmouth. We have plenty and they blend in so well. Love the sinuous lines of the swimming snake. 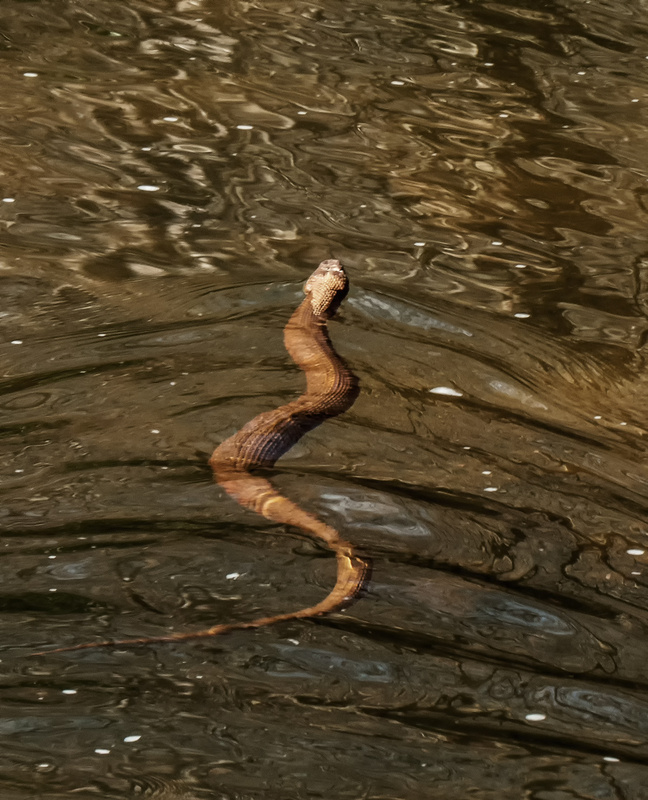 We have encountered a few of these water snakes in exactly the way you describe, practically tripping over them and startling them into making a dash for the water. 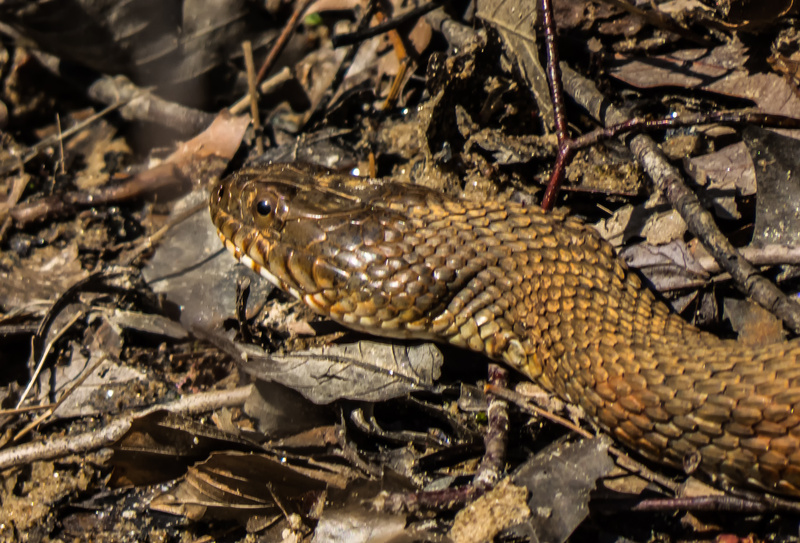 Each time it happens, I am glad it was not a venomous snake. No reptile I dislike more than any snake. Beautiful but they move way too fast and unpredictably….they give me the heebie-jeebies! I love dragonflies and am really happy when one happens to land on me, which occurs every now and then.